Brazil has a great reputation for barbecues, but I have to confess that our neighbours in Argentina just do it better. If you have never tried an authentic Argentinean asado, please put it on your bucket list now. Luckily, we have a fine 'hermano' represent here in Birmingham: Fiesta Del Asado , in Edgbaston. I also will be very apologetic to all vegetarian readers, because this review is all about meat. Juicy and succulent meat, to be more specific! It´s definitely not a secret that Argentinean parrillas (steak restaurants) are worldwide famous for the quality of their meat cuts and its preparation, so if you appreciate a good steak, it is highly recommended to try it at least once in life. 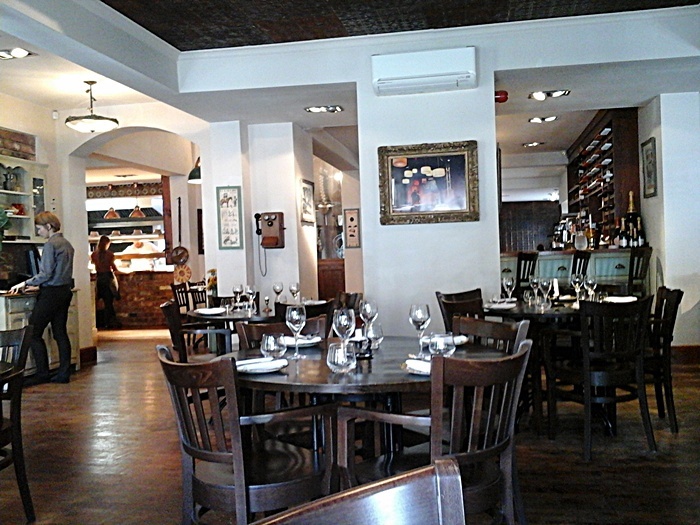 As soon as I arrived at Fiesta Del Asado, I had a look at the restaurant itself. The decor is inspired by colourful arts spread in the streets of Recoleta and the Argentinean passion for tango and football. There are pictures of Che Guevara and Carlos Gardel on the walls but as the restaurant is spacious, it is not at all in your face. 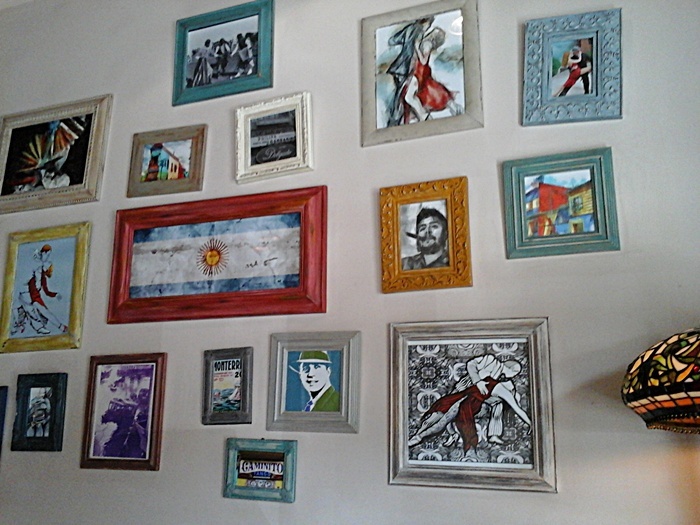 I do recommend having a proper look around to find out more of Argentina´s identity in its decor. 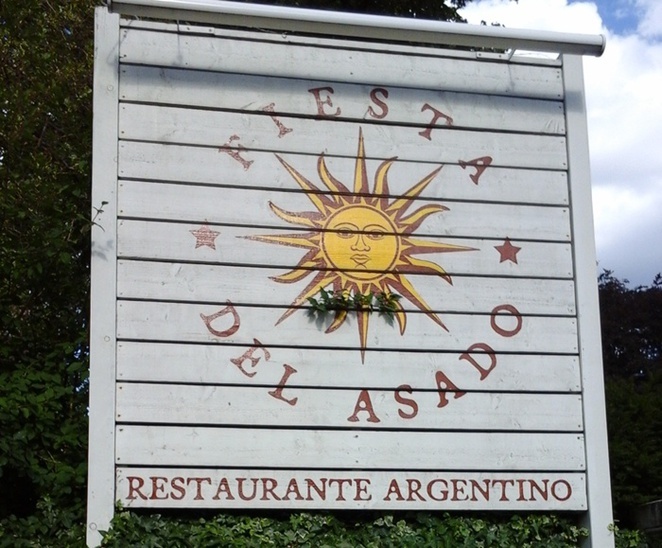 As food is highlighted as something outstanding in Fiesta Del Asado, its menu is nothing more than a mouthwatering one.I was ready to try practically everything. From top to bottom, but of course, it would not be a good idea for my pocket. Light Bites: A nice chorizo pate on toasted bread was my appetiser option to start my indulgence in the glorious pampas meat feast and it was delicious to say the least. It is a light bite indeed and a wonderful excuse to get in the mood for some Argentinean Malbec. 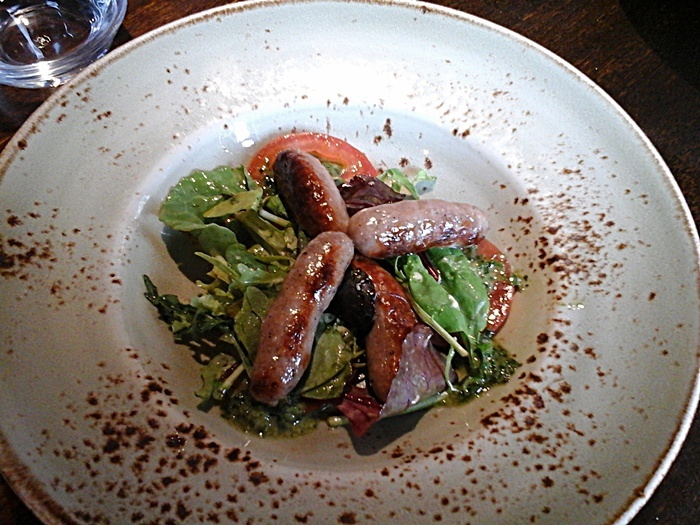 For the starters, my other half and I decide to go for the sausage; another specialty porteña. Salchicha Criolla ( the special house sausage flavoured with fresh herbs, lemon and garlic) for me and Morcilla Curada, a traditionally-smoked black sausage, flavoured with paprika and sweet caramelised onion for him. The technique that makes an asado so special is pretty much slowing down its preparation, smoking the meat in an authentic parilla made of thermal bricks. So, don't expect a quick barbecued meat on your plate when visiting Fiesta Deal Asado. We were informed that our main, two Bifes de Angosto (16oz Porterhouse fillet) would take 25 minutes to be prepared. Fair enough and obviously another reason to get more wine on the table. And it was worthy to wait every second of it. 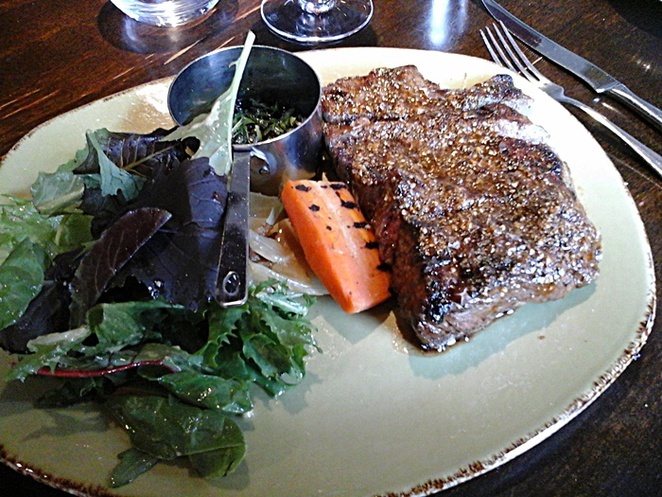 The meat (that is recommended to be medium rare, always) was so tender that it actually melted in the mouth. All flavours were accentuated with the steak accompaniments of a Reduccion de Malbec (a pouring sauce made of Malbec) and Bearnesa sauce. 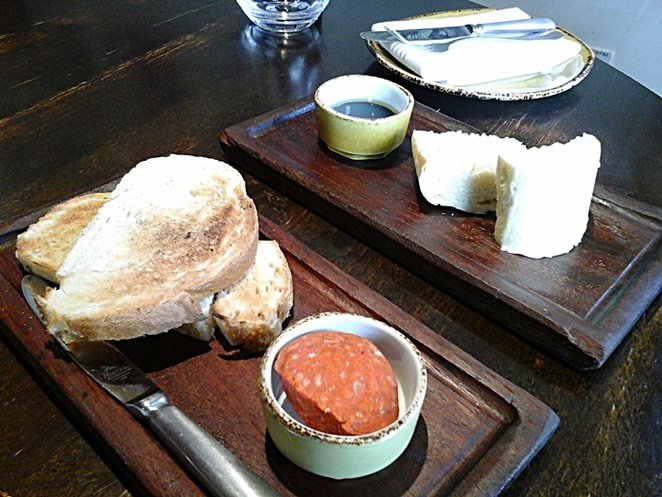 I have to say that trying to eat like proper 'gauchos' is a bit of challenge. Not because it is a heavy meal, but it's a huge piece of succulent meat that needs to be appreciated with care. We made it! 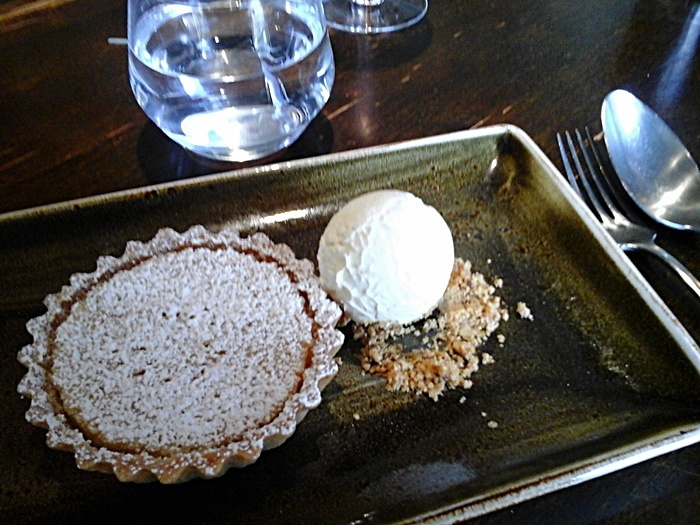 And I still had room for a typical Spanish dessert: Santiago tart. Pure gluttony but I felt fine.